When you're black and female in America, society's rules were never meant to make you safe or free. 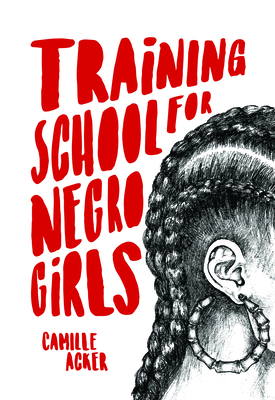 Camille Acker's relatable yet unexpected characters break down the walls of respectability politics, showing that the only way for black women to be free is to be themselves. Camille Acker grew up in Washington, DC. She holds a BA in English from Howard University and an MFA in creative writing from New Mexico State University. Her writing has received support from the Norman Mailer Writers Colony, Callaloo Writers' Workshop, Voices of Our Nations Arts, Millay Colony for the Arts, and Djerassi Resident Artists Program, among others. She was a fiction coeditor for Dismantle: An Anthology from the VONA/Voices Workshop (Thread Makes Blanket Press 2014). In 2015, she helped co-found The Spinsters Union, a digital content site by and for women. She has worked for social justice non-profits and taught in a variety of educational spaces including Chicago Writers Studio and University of Illinois at Chicago. Her writing has appeared in or is forthcoming from Hazlitt, Splinter, VICE, DAME Magazine, Fandor, and NewCity, among others. She is currently a Visiting Assistant Professor in Fiction for the creative writing program at New Mexico State University.